This is big news, and while some people have said that they have known of these for some time, they were not kind enough to let the community know. Now the tell tale here is the Dot near the 1 in 140. In an original bezel we see it more over the 4. In the following example you can see the different position of the Dot over the 140. 105.003 with a somewhat tired, but original bezel. So far this is hard to replicate. Obviously my example is a well worn bezel, and this is often the confirmation of an original, but I suppose the fakers will try that too. Here is another original. 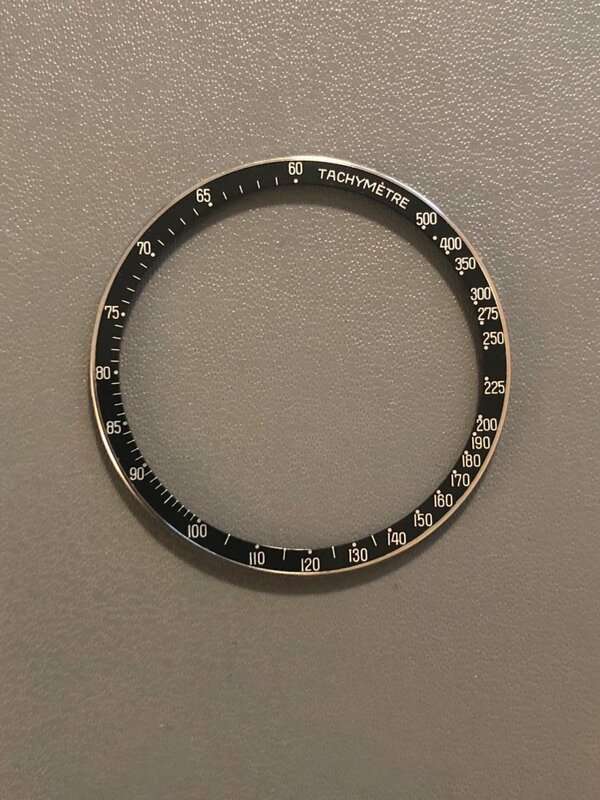 There is a discussion amoungst the community regarding the disclosure of why a bezel (or any other part for that matter is counterfeit. On one side, when we point out the errors, then the fakers get a free consultation on how to improve. On the other hand, without disclosure there will be several people defrauded. Personally I believe in full disclosure and I think that I would spot a fake bezel in hand. The print will be too perfect and the retaining ring will either be new, or show signs of re fitting. Of course all these things might also be faked. However by doing business with people I trust, I hope to avoid being scammed. The last point is that once the fake bezel becomes indistinguishable, then they will all be worth the same. In conclusion, be very careful when considering to good to be true condition D090 bezels!